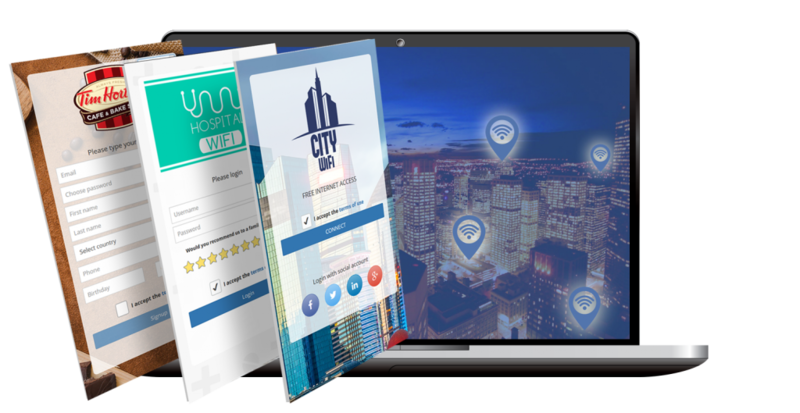 WiFi locations feature helps you configure your Hotspot software to display a different login page in different parts of your network (like shopping malls, virtual ISPs, hotel lobbies, rooms, restaurants, beach bar, etc). 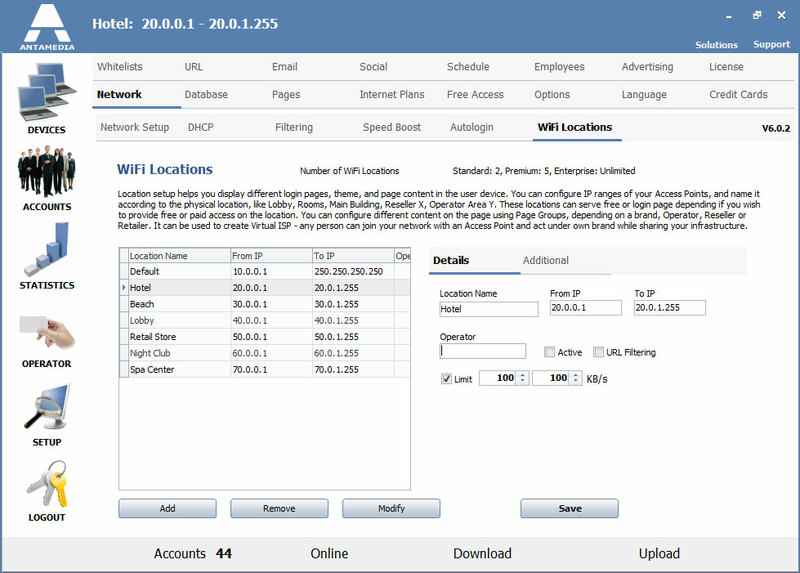 Based on your network IP segments you can assign a different theme, login page and signup method in each location. This feature can be used to create Virtual ISP – any person or small business can join your network with an Access Point and act under their own brand (using different page groups like login, welcome, etc) while sharing your infrastructure. Such Virtual ISP starts a venture with minimal investment, and are motivated to look for a new customers and build a network. You can share a profit with such partners, in exchange of providing the software solution for control, billing and the Internet access. The following example will give you an idea how to configure locations in a Hotel. 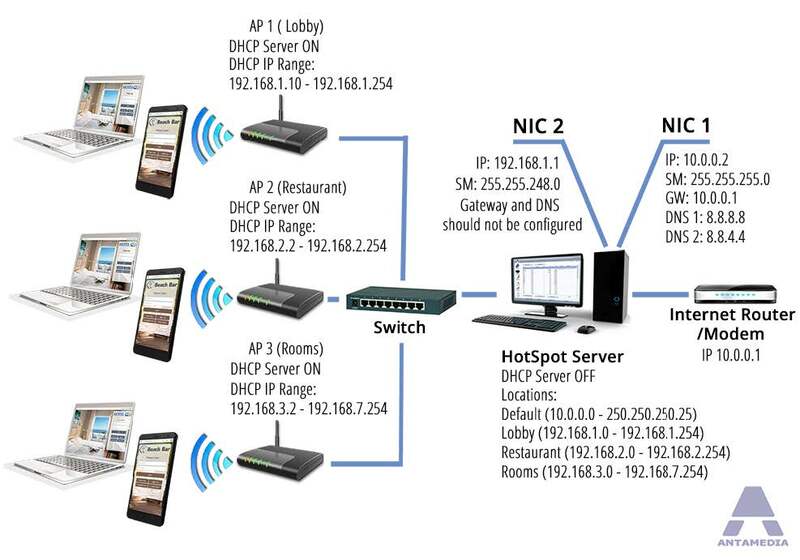 Hotel’s Hotspot server will be configured to display different type of login pages in the lobby, restaurant and rooms. In the lobby Hotspot login page should contain only ticket login form. Restaurant will provide free access with a predefined keyword. In the rooms guests will get a page with account login form and sign-up link. Alternatively, it can be switched to PMS Hotel login form, where a guest may authenticate using a room number and a guest name (PMS Interface module is required in this case). 3. Access point in each location has to be set to act as DHCP server, with IP pool range configured to match the IP range configured for that location in Hotspot. – Choose type and subtype of the default page. After the procedure is completed, users in each location should get a different login page, according to configured settings. Hotspot locations helps you offer different access methods in your network, gives you more flexibility, marketing opportunities, and stimulates users to spend more on your services.